[INFOGRAPHIC] Are Cryptos Worth Investing In? Are Cryptos Worth Investing In? As of October of 2018, there were more than 2,000 registered cryptocurrencies on the market. This leaves a lot of potential investors wondering which are a good investment and which are not. To be honest, the odds of hitting a winner are not all that great. Are cryptos worth investing in? According to Forbes, as many as 1,000 of these cryptos have failed and are worth very little at the moment. It’s a sobering statistic for investors, but, despite the failures, the number of ICOs being launched is ramping up. It’s a phenomenon that is being compared to the dotcom boom a couple of decades ago, and experts warned we would experience a similar crash. That bubble well and truly popped in December/January. So, if the investments are so risky, why are investors so keen to keep investing? It’s simple – if you do choose the right crypto, you could make a fortune. There are a lot of failures, it’s true, but there have also been massive successes. The following infographic compiled by BitcoinPlay lays out the top 26 successes in this area. And when you consider that the top cryptos have reached a market cap of billions in less than a decade, it’s not hard to see why investors are so optimistic. After all, who doesn’t wish that they’d gotten in at the ground floor of Bitcoin? In 2009, just after its launch, you could barely even give Bitcoins away. At less than a cent per coin, it was an extremely cheap investment. Fast-forward to today, with the price coming in at over $6,000, the ROI is phenomenal. If you’d picked up a measly 200 coins back then, you’d be a millionaire today. The allure, therefore, is easy to understand. The trick, though, is finding the next big crypto. And with so many options on the market, it can be difficult to figure out which one will be the next big thing. As with all investments, your best bet when it comes to choosing a winner is to do your research properly. Keep an eye on crypto news forums and see which coins are creating a buzz. Have a look at the amount of effort the developers have put into their proposal. Does what they’re suggesting make sense? Do they have the right team? Put in the effort now, and you could very well find yourself heading into early retirement with a good deal of money in the bank. 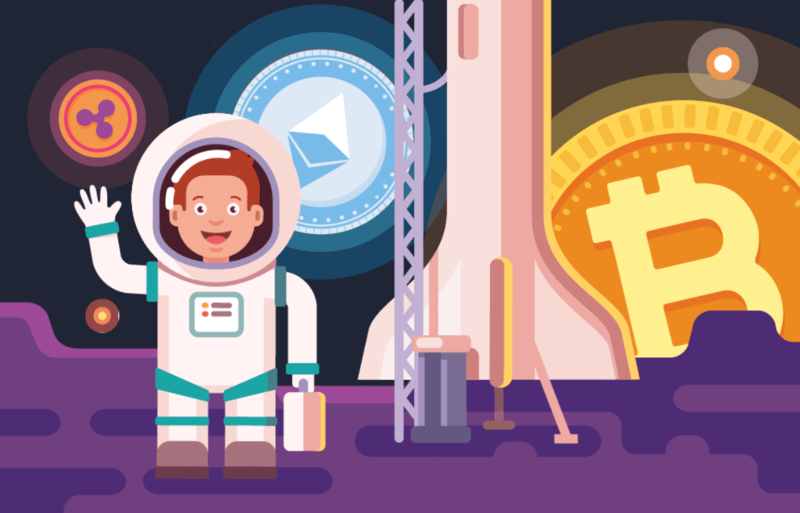 This infographic aims to help you better understand cryptocurrencies so you can decide if they are worth investing in. This infographic was made by our friends at BitcoinPlay, who produce excellent guides on the crypto-gambling industry. Images courtesy of BitcoinPlay unless stated otherwise.